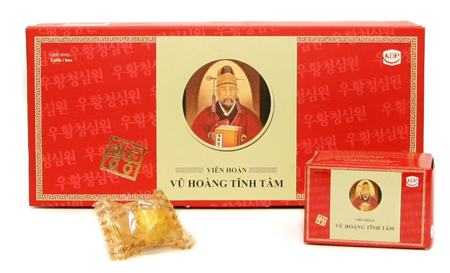 Uhwang cheongsimwon, Korea’s traditional anxiolytic medicine, will be exported to Vietnam, its manufacturing company said. Kwang Dong Pharmaceutical said that it signed an agreement with the Vietnamese government last month to supply the drug, called Original Woo Whang Chong Shim Won, to the Southeast Asian country. The company plans to supply 50,000 packets of the medicine worth 300 million won ($265,000) by the end of this year. “The agreement is significant in that the Vietnamese government had been reluctant to import the medicine due to a lack of understanding of its ingredients,” a company official said. Kwang Dong received approval from the Vietnamese authorities in July after undergoing a two-year registration process. Cheongsimwon is an over-the-counter remedy comprised of ox bezoar, civet and herbal ingredients. It is effective in reducing panic and returning people to a calmer state. Kwang Dong currently exports the medicine to Japan and pharmacists there have recognized its effectiveness. They formed an academic research organization called Keigyokukai in August 1988 to introduce Woo Whang Chong Shim Won to customers. The group has 420 members. In 2008 and in 2012, its members visited Kwang Dong’s facilities in Seoul to conduct extensive studies on the medication.